Georgia Organics created the Cast Iron & Collards Society to make sure that Atlanta food enthusiasts know what’s now and what’s next in the good food movement on a daily basis while getting to know the people who grow and prepare the food they love. Since you work in the Good Food Movement, we've discounted your rate to $5 per month. This is for our friends who are workers from Farms, Restaurants, Artisan Culinary Businesses, Farmers Markets, Good Food Nonprofits, Good Food Public Relations, and other Good Food Movement Professionals. 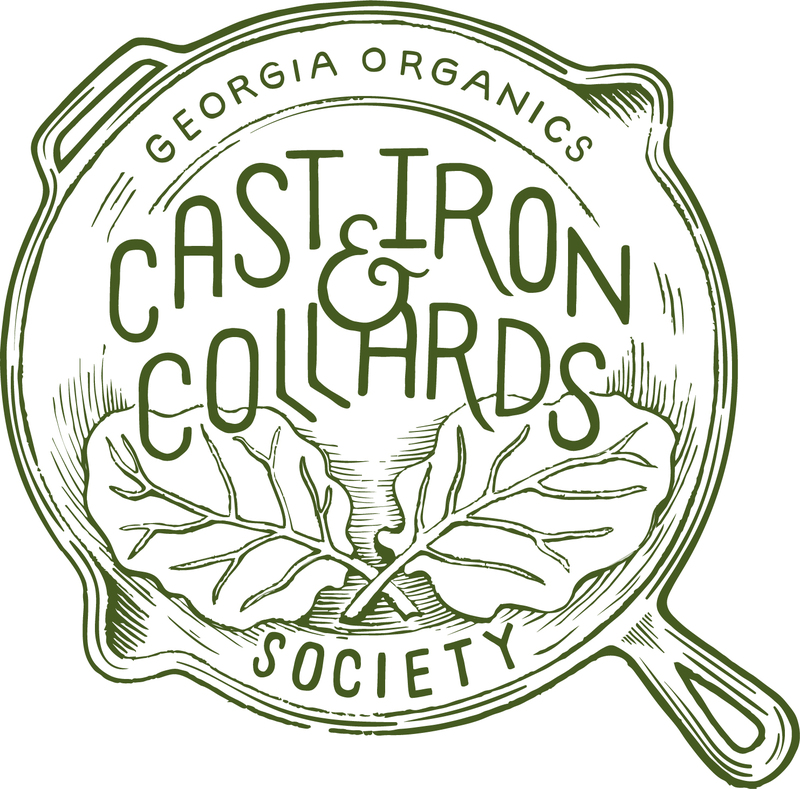 Cast Iron & Collards Society members receive exclusive access to purchase tickets to private events and dinners, a constant stream of information, products and discounts, and the opportunity to hang out with Atlanta’s chefs and farmers. Make sure to follow us on Twitter and Instagram @cicsatlanta to receive daily communications. We connect Georgians to organic food from Georgia farms. When you give to Georgia Organics, you fuel a culture that inspires kids across the state to try fresh, local flavors in their lunchrooms; that equips and empowers farmers to succeed; and that bringing people together to address food access in their communities. Thank you for supporting Georgia Organics, and the Good Food movement! Read more about our programs that your donation will help to fund. Do you already have an account with us? If you're not sure, click here to request that information. To manage your account (update credit card, edit profile, etc. ), create login and password below. Password must be at least 8 characters, and contain at least one number. Do you have an account? If you don't know, click here to request your info.